In a microwave proof bowl, melt butter. 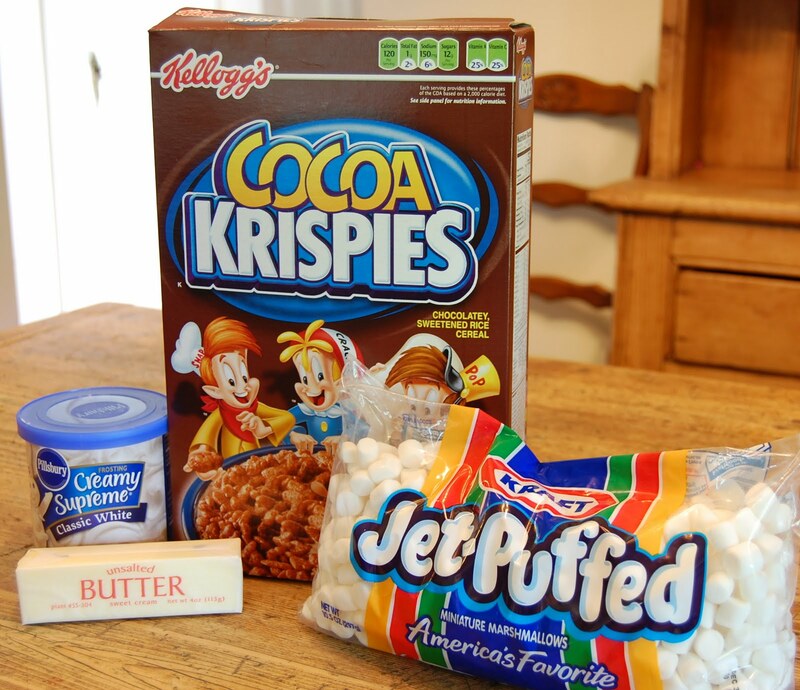 Add marshmallows to bowl and microwave until melted. All microwaves are different so I would recommend setting it for 1 minute increments. Test to see if the marshmallows are melted after each minute. Be careful not to scorch the marshmallows. 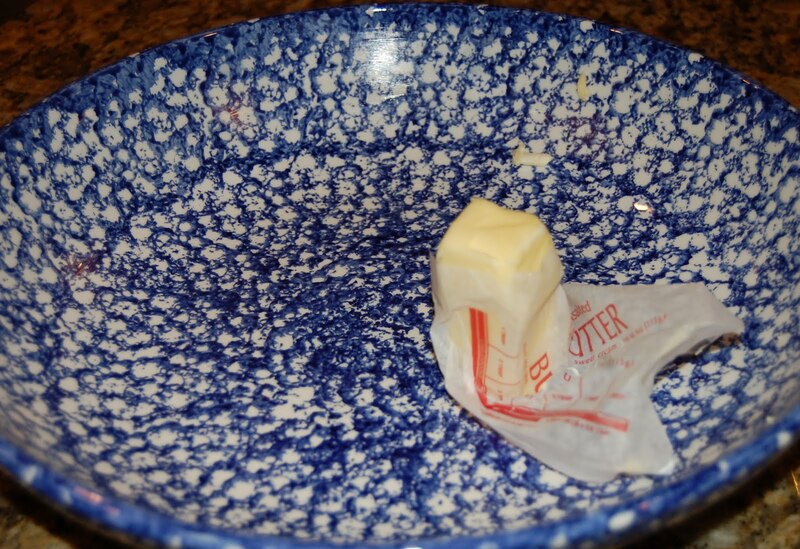 Grease a large bowl with butter (so the mixture will not stick to the sides). 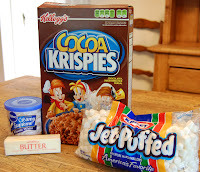 Add the cocoa krispies. 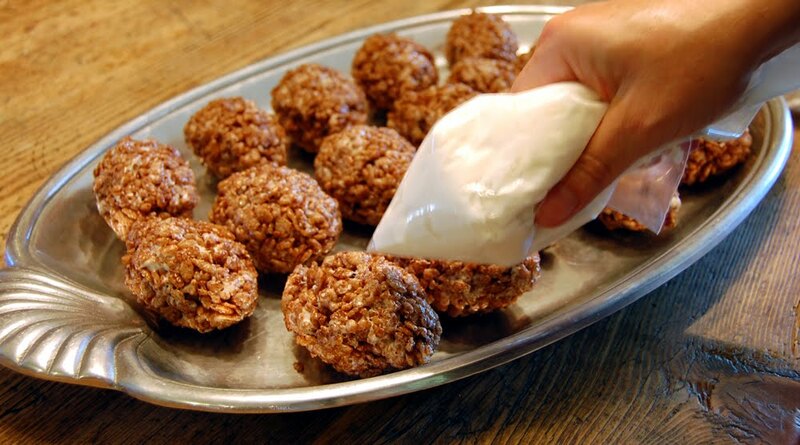 Pour the butter/marshmallow mixture over the top of the rice cereal. Stir to coat all the cereal. Let cool slightly. 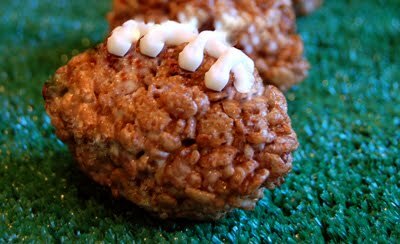 Use buttered hands to shape the rice krispie mixture into mini footballs. Make the footballs about 3" long. This makes 16-24 depending on how large you make them. 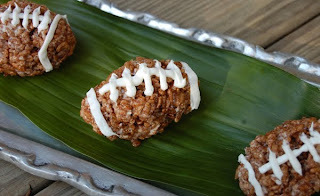 Decorate each football by piping white icing on them for stitches and strings. I use a small Ziploc bag as an icing piping bag. To do this, you fill the bottom of the bag with the icing. Snip a small hole in the bottom corner and squeeze the icing out of this hole. Easy and less mess. Down, set, HIKE! 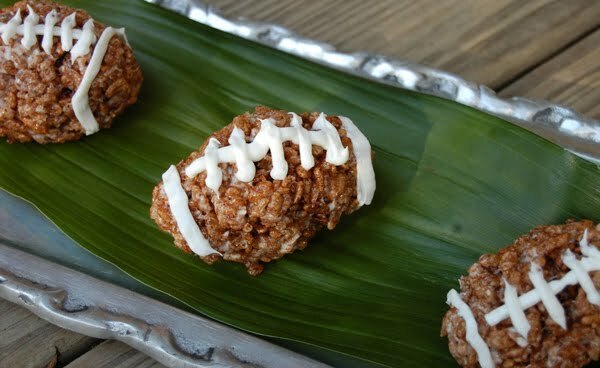 You are ready for kick-off with these tasty football rice krispie treats!